So much to do . . . Where do we start? The Swim Center has approximately 147,000 user visits per year and continues to stay up to date and clean as they continue to grow. 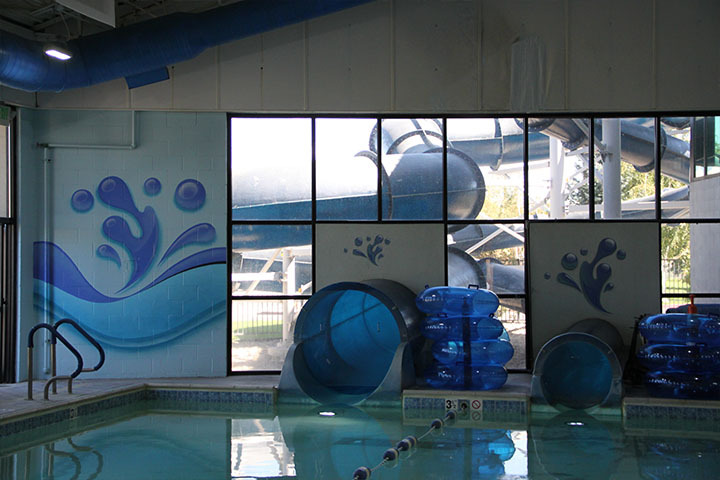 The Swim Center was voted the “Best Place to Take Your Kids” for the years 2014, 2015, 2016, and 2017 in the Record-Courier’s annual Best of Carson Valley survey. 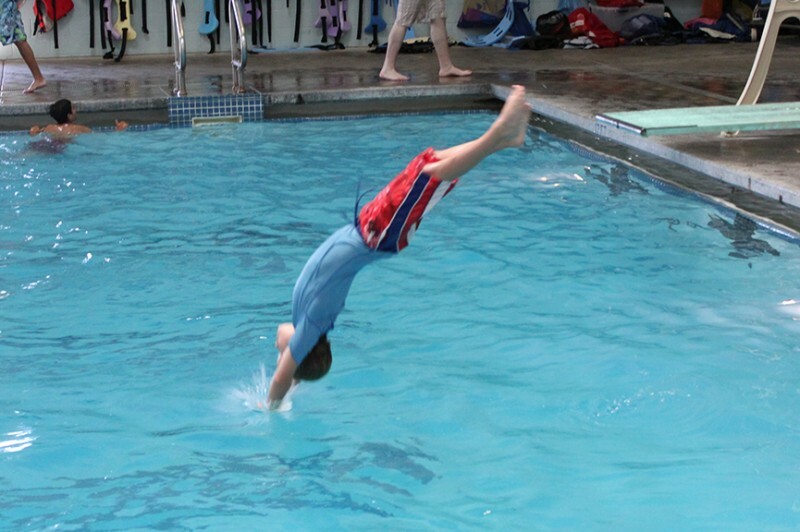 The Carson Valley Swim Center has 2 slides, 2 diving boards, 6 pools, a workout room, therapy options, water aerobics, school groups, certification courses, swim lessons, CPR certification and so much more. 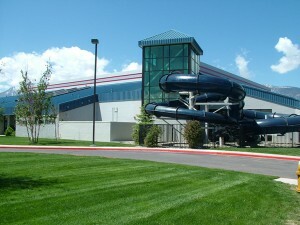 The Carson Valley Swim Center is fun filled water environment for members and guests of all ages. We are proud to offer a variety of options to meet your fitness needs. For the user looking to step into a group fitness class, lap swim in the pool, or hit the treadmill, you will find your niche here. Looking for a place to host a birthday party, baby or bridal shower, graduation party or anniversary celebration? 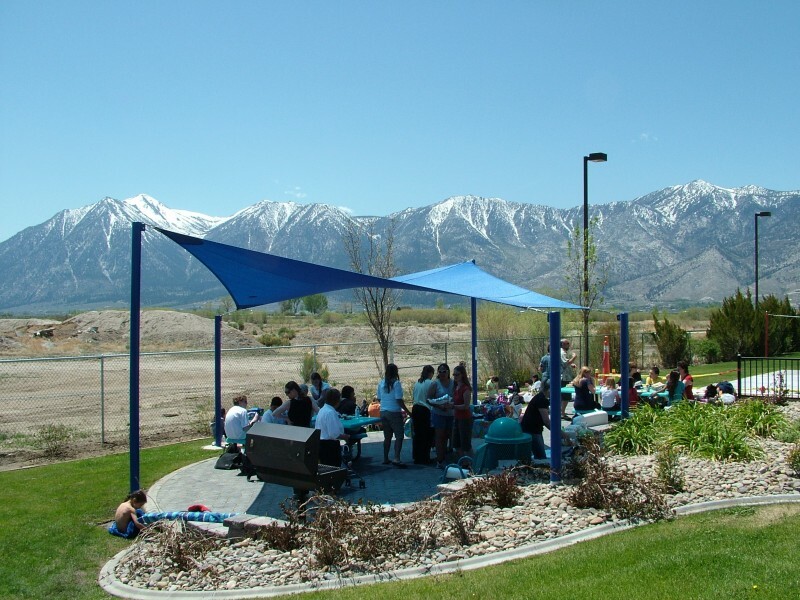 CVSC offers a variety of rental areas, both inside and outside, for special events. Make your reservation today! Is one of your goals to be healthier and better physical condition? 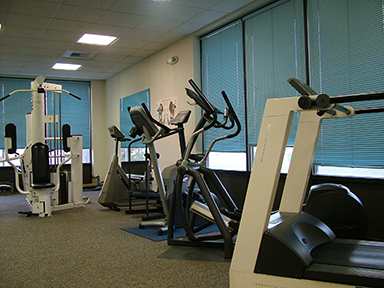 CVSC offers a well-equipped fitness area with cardiovascular equipment as well as strength building equipment. 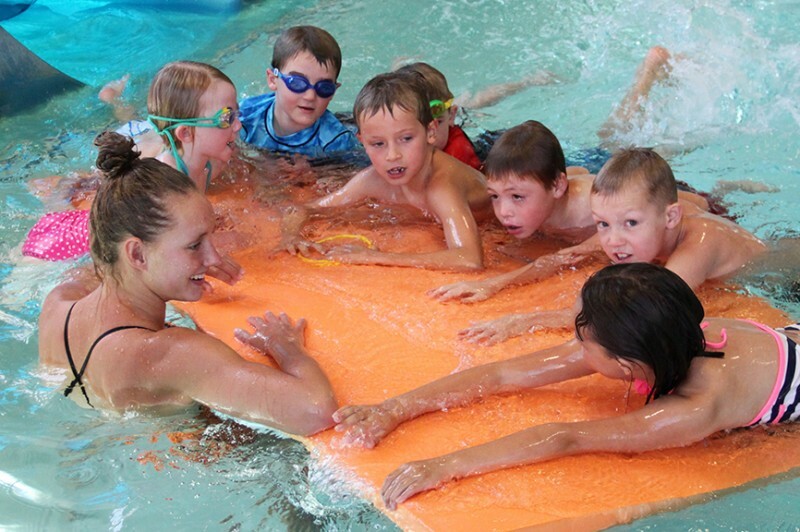 We have swim lessons for all ages and they are fun too! CVSC provides a wide range of both adult and children’s programs. There are classes available for all ability levels as well. From babies to adults and swimmers to non- swimmers there is something for everyone! These programs include group lessons as well as drop in and private lessons for more flexibility. Dance your blues away with our upbeat water zumba workout. 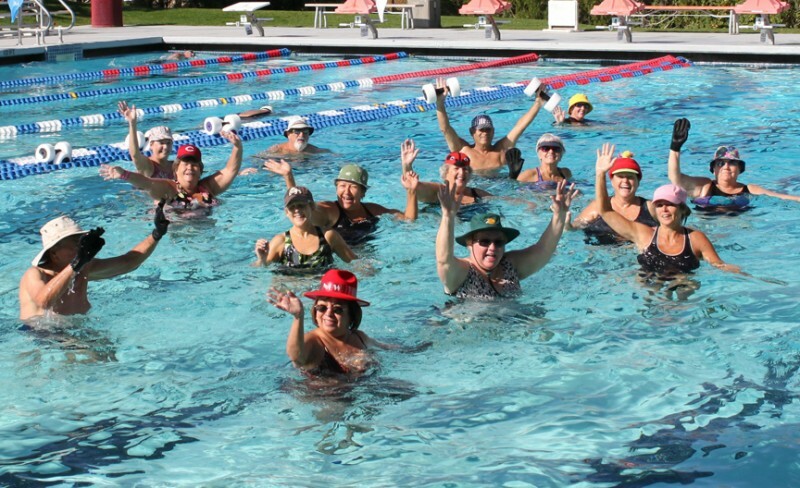 Increase your endurance and heart strength for a full body workout with water aerobics. All of our water aerobics classes are taught by trained instructors. Are you interested in being a lifeguard or just being prepared for an emergency situation. Our Red Cross certified instructors will help you not only help others stay safe in, on, and around the water, but can help you learn the latest safety and rescue techniques, and deliver critical care, like CPR, first aid, and AED administration, when it’s needed most. Can you imagine yourself 16 feet in the air above the water! Then the Rock Wall is for you. Our Rock Wall is a great introduction to rock climbing. 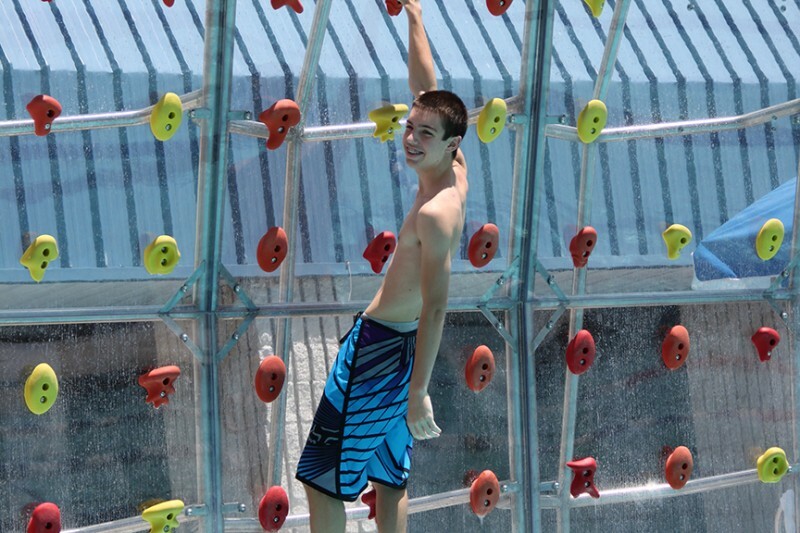 All in all, the rock wall is a wonderful experience for everyone from the timid to the enthusiastic! 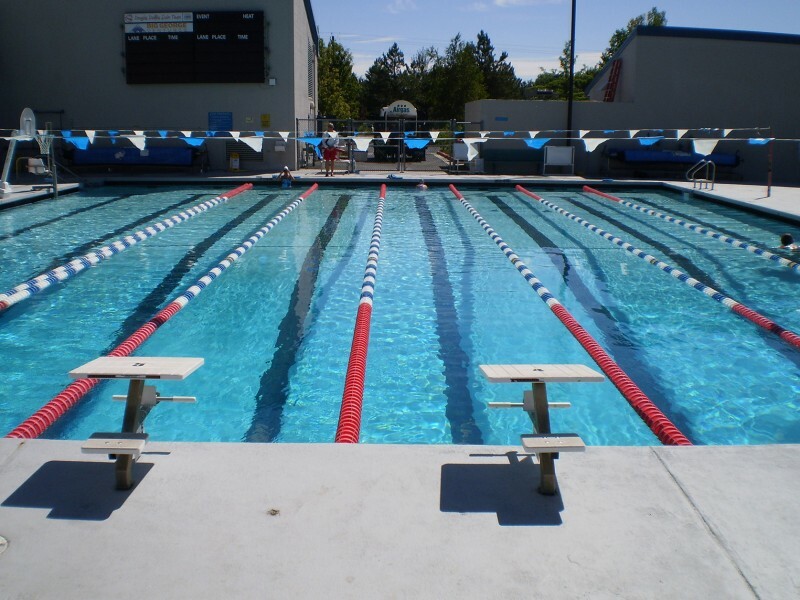 The lap swim lanes are another favorite way of getting exercise as well as just relaxing. Lap lane availability is posted at the entrance counter. We strive to always have at least one lap lane availability at all times. Kickboards and buoys are available for your use. Kickboards allow you to swim using only your legs, which builds leg strength and focuses attention on your kick. 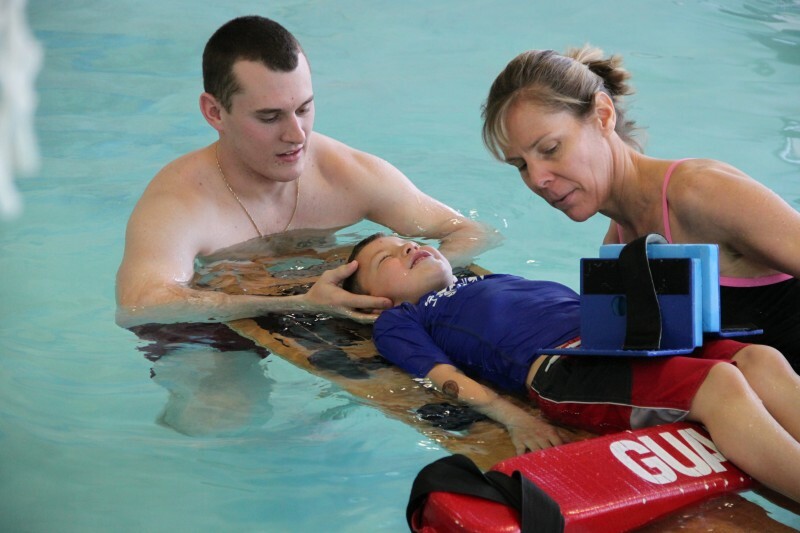 Pull buoys immobilize your legs during the stroke, allowing your arms to be fully engaged. Our certified lifeguards are always on hand to assist you with locating available equipment.